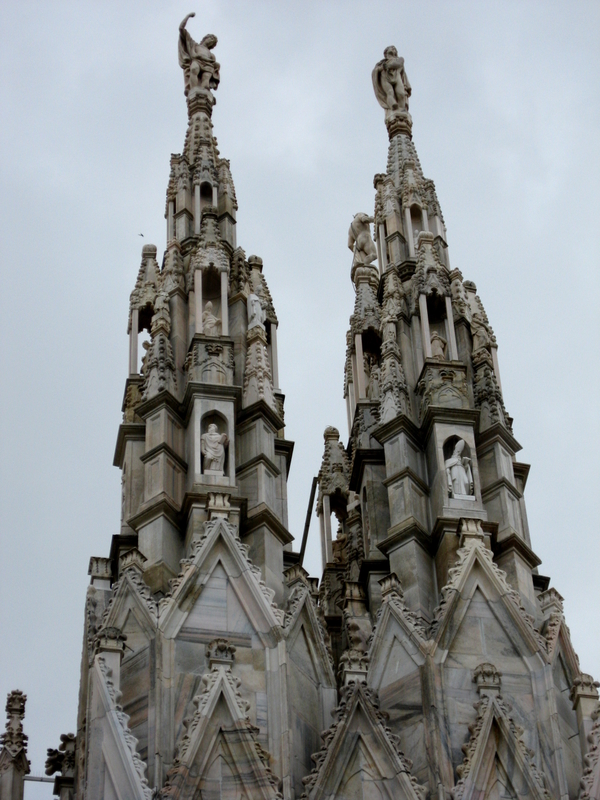 It is, without a doubt, one of the most famous cathedrals in the world: Milan Duomo (The Milan Cathedral). Beautiful at sunrise, during the day, lovely at sunset, Milan Duomo is a delight for the eyes and soul alike. And how could you doubt that for a second? 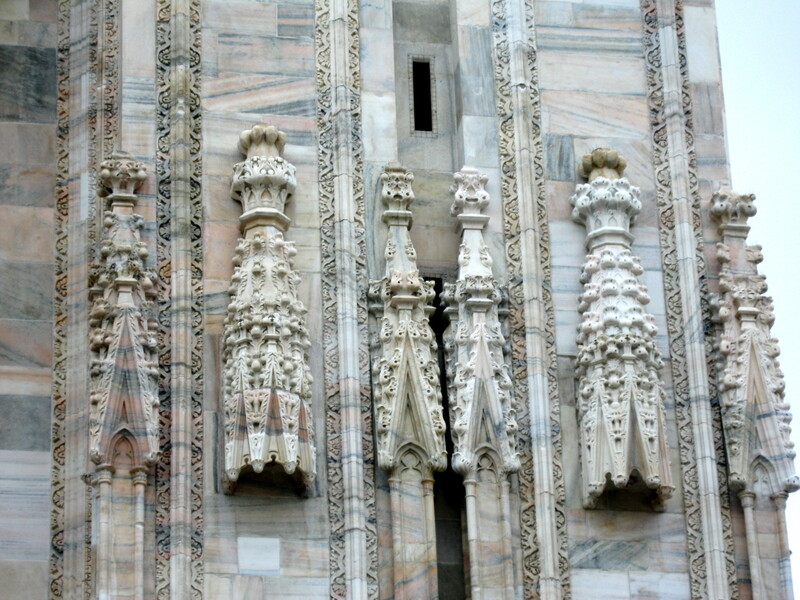 Just look at this amazing figure, a detail from the Duomo, and you will understand why this cathedral deserves to be studied with attention. 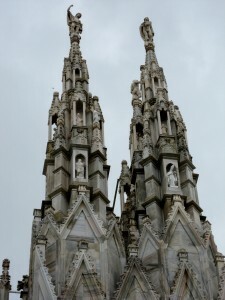 Milan Duomo – characterized by exemplary attention to detail, thoroughness in sculpting all figures, all completed by an extraordinary imagination for an impressive result. 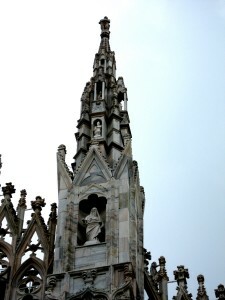 (I already posted more photos from the interiour and exteriour of the Milan Cathedral) A cathedral to include in your Milan tours while in this beautiful city. just how many emi s will likely be required for your dealing of new cars. I simply want to say I am very new to blogging and actually loved your blog. Very likely I’m planning to bookmark your website . You definitely have really good articles. Thanks a bunch for sharing your webpage. I just want to say I’m all new to blogging and site-building and actually savored you’re blog site. Very likely I’m want to bookmark your website . You absolutely come with terrific article content. With thanks for revealing your web site. Great post. I was checking constantly this blog and I am impressed! Very useful info specifically the last part 🙂 I care for such info much. I was looking for this certain information for a long time. Thank you and best of luck. It truly is rare to come across an experienced person in whom you might have some trust. In the world nowadays, nobody genuinely cares about showing others the way out in this subject matter. How happy I am to have definitely found such a wonderful site as this. It is really people like you who really make a true difference in this world through the concepts they discuss. Duomo di Milano is such a masterpiece. 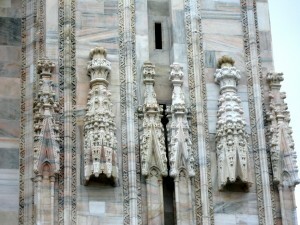 The architecture is so majestic, I often think how we can a human make this stuff so beautiful. If I could visit Italy my top places to visit would be Milan, Venice, Rome and Positano. I like this post. The pictures are all very beautiful. Thank you for sharing such an interesting place. Finding new places and learning about new places is always a lot of fun. I would LOVE to visit Milan, I have wanted to visit for such a long time. The cathedral looks beautiful, I definitely think we will make a trip over there next year. Milan is very beautiful city of Italy with stunning architecture. Milan cathedral is beautiful and very photogenic. Must visit place of Italy. I am actually going to Italy next month and I cannot wait. The Cathedral is exquisite and the architectural construction is breathtaking to say the least. I had listened a lot about Italy. It’s culture and architectural beauty is just worth-watching! 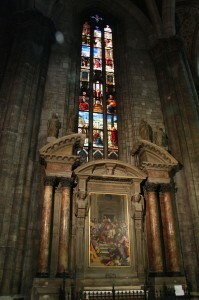 Milan cathedral looks so amazing through the pictures!! Loved to read it. 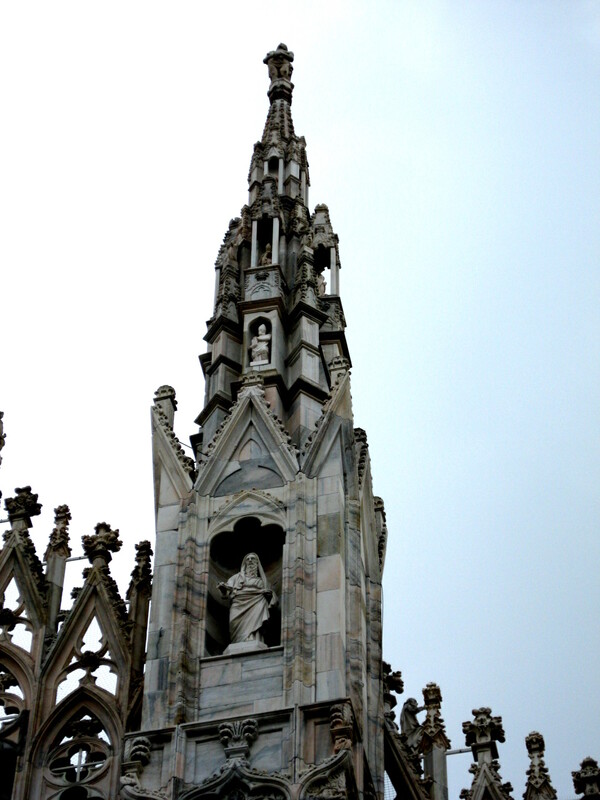 Milan is a beautiful city and we had a great time when we were there. So far I have loved all European cities we visited with cathedrals. Milan is one of my favorite cities!! your pics are pretty cool too! Youre so cool! I dont suppose Ive read anything like this before. So good to search out anyone with some unique thoughts on this subject. realy thank you for starting this up. this web site is one thing that is wanted on the net, someone with somewhat originality. helpful job for bringing one thing new to the web! You made some first rate points there. I regarded on the web for the issue and located most people will go along with together with your website. I’m typically to running a blog and i really appreciate your content. The article has really peaks my interest. I am going to bookmark your site and preserve checking for brand spanking new information. After I originally commented I clicked the -Notify me when new feedback are added- checkbox and now every time a comment is added I get 4 emails with the identical comment. Is there any approach you possibly can remove me from that service? Thanks!